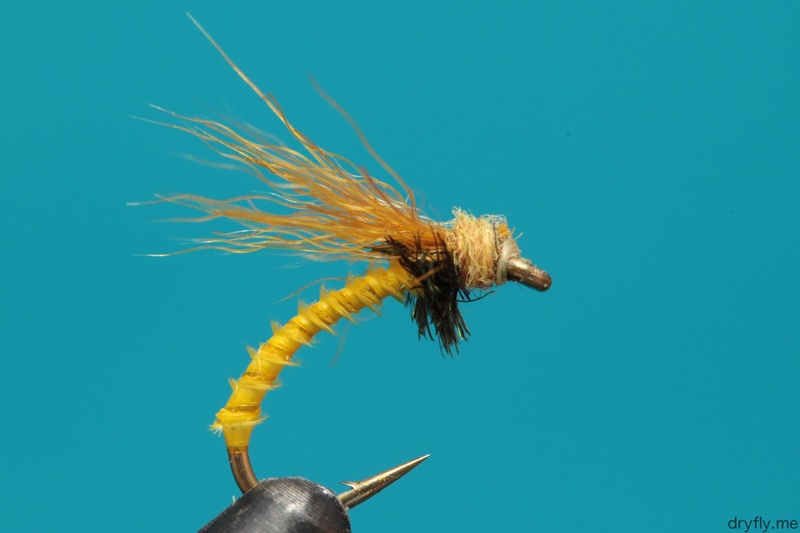 Got this great rabbit foot dyed in aurivilli yellow the other day and needed to tie some smaller dry-flies again (been on a salt-run lately), this yellow emerger should go great for trout. 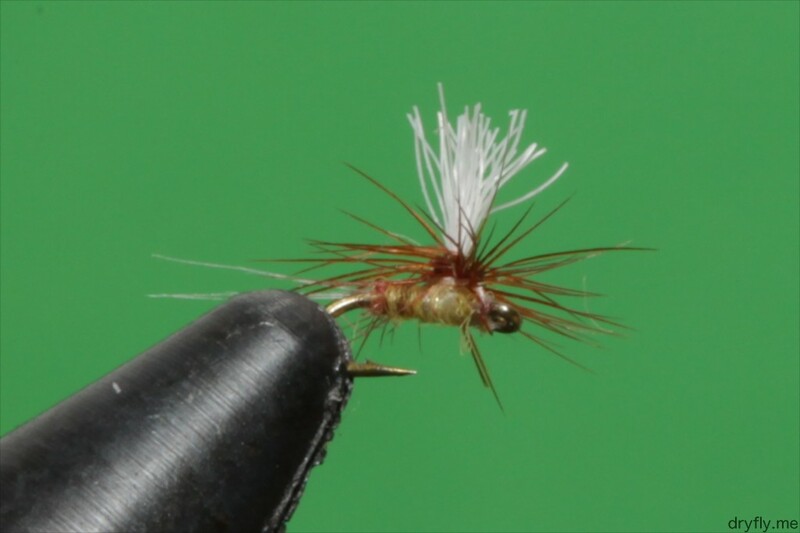 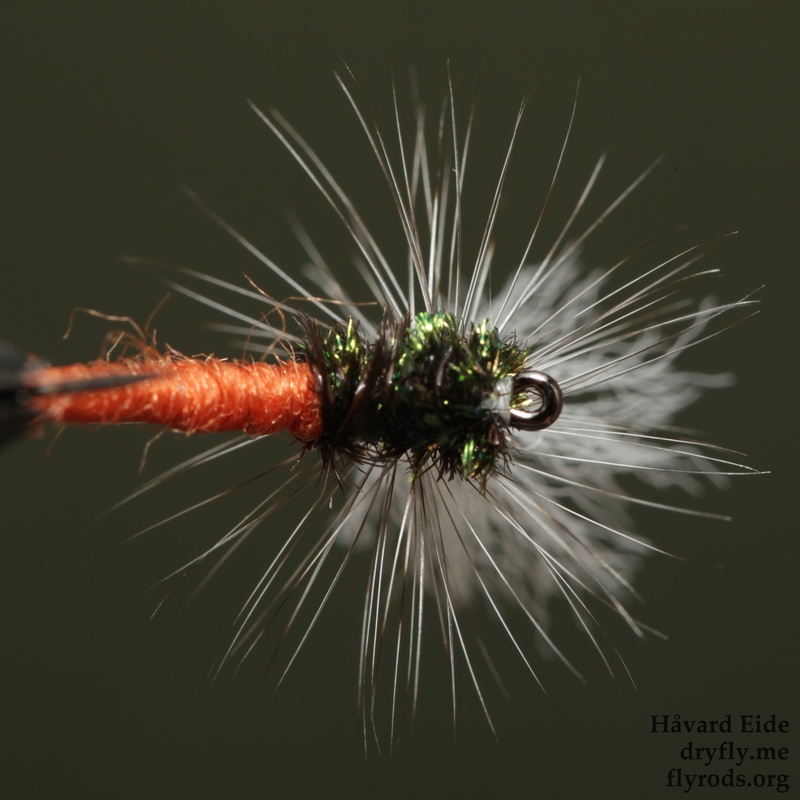 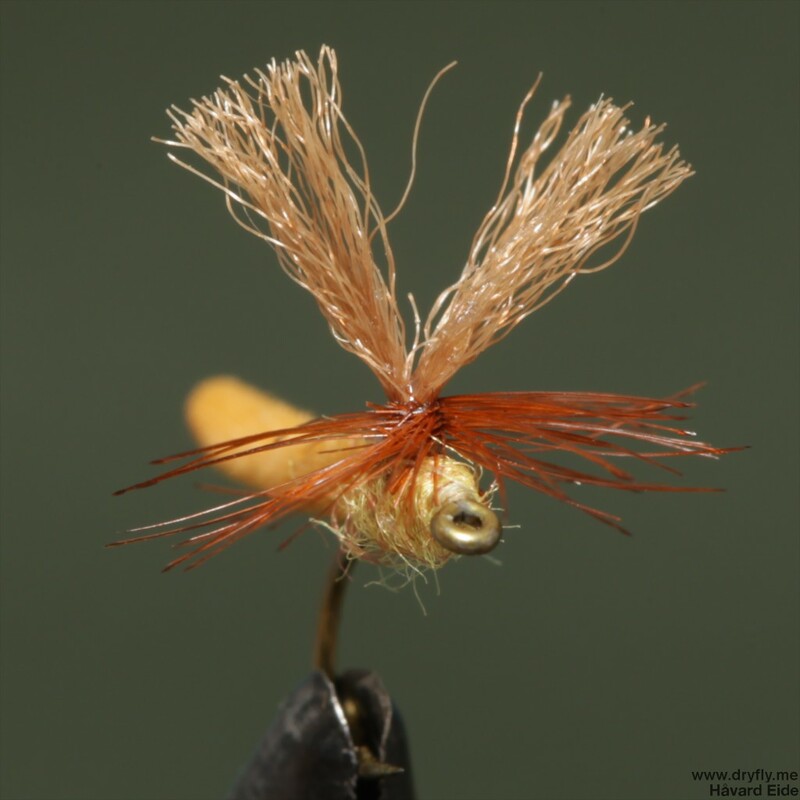 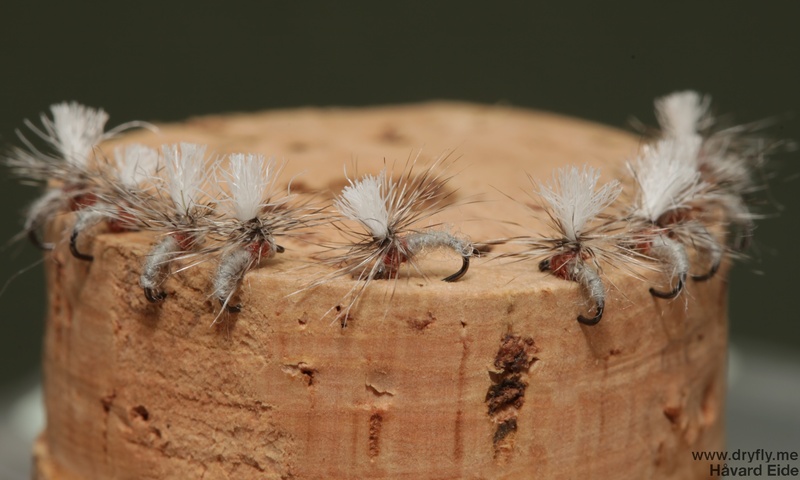 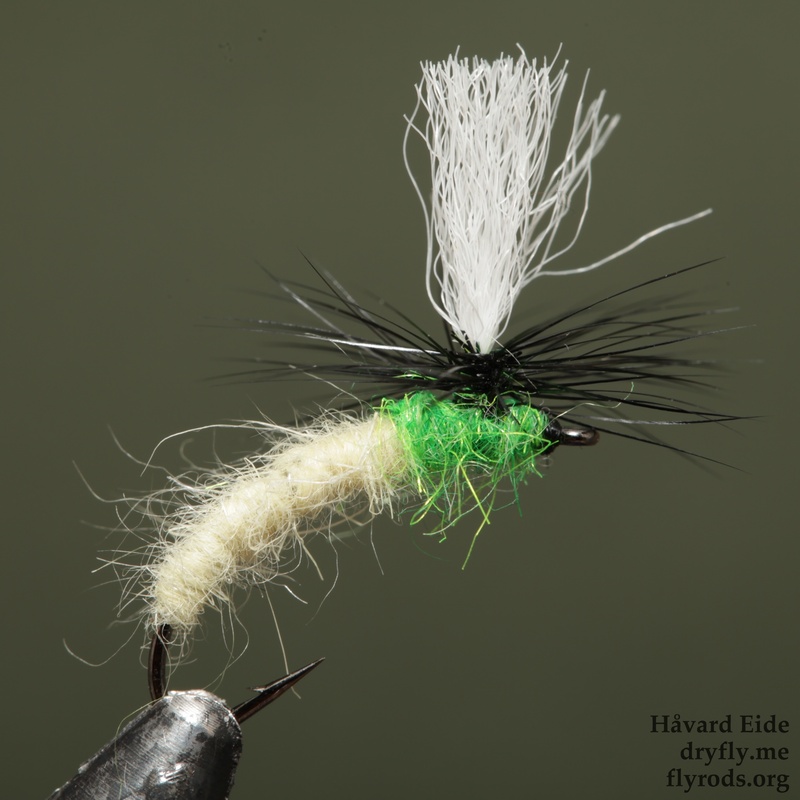 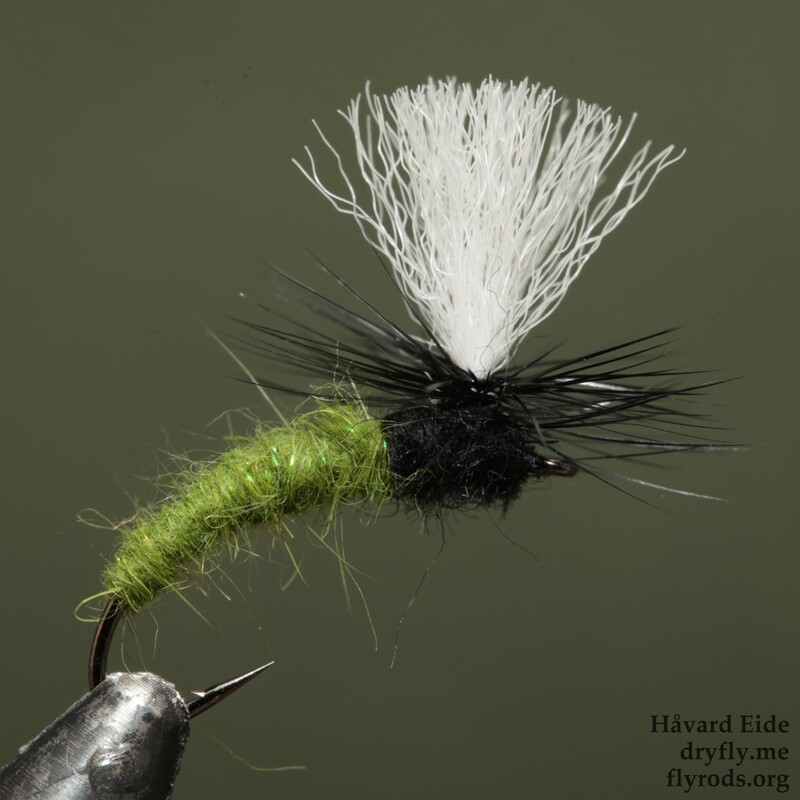 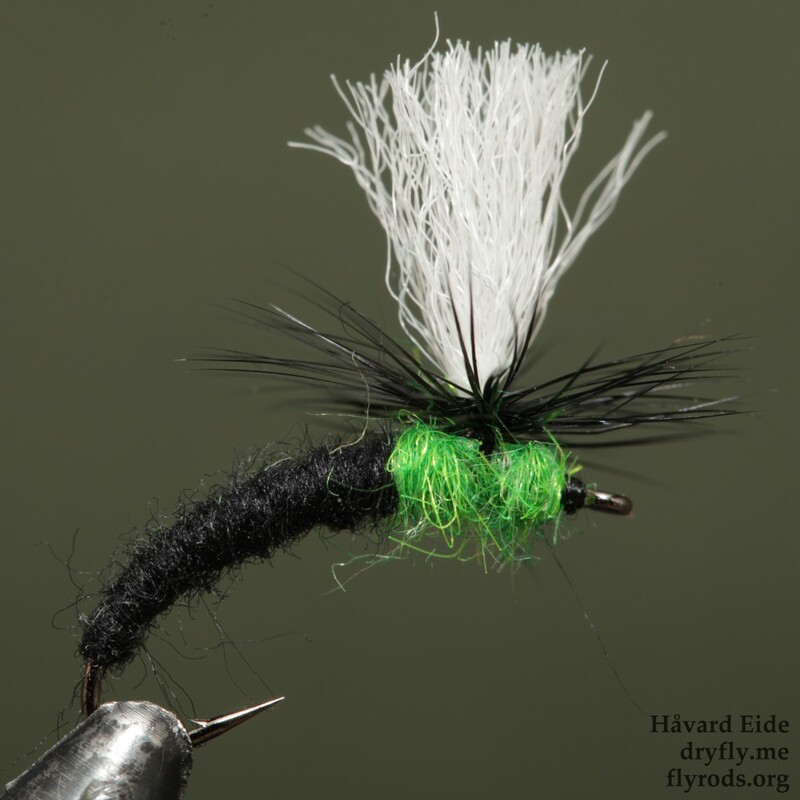 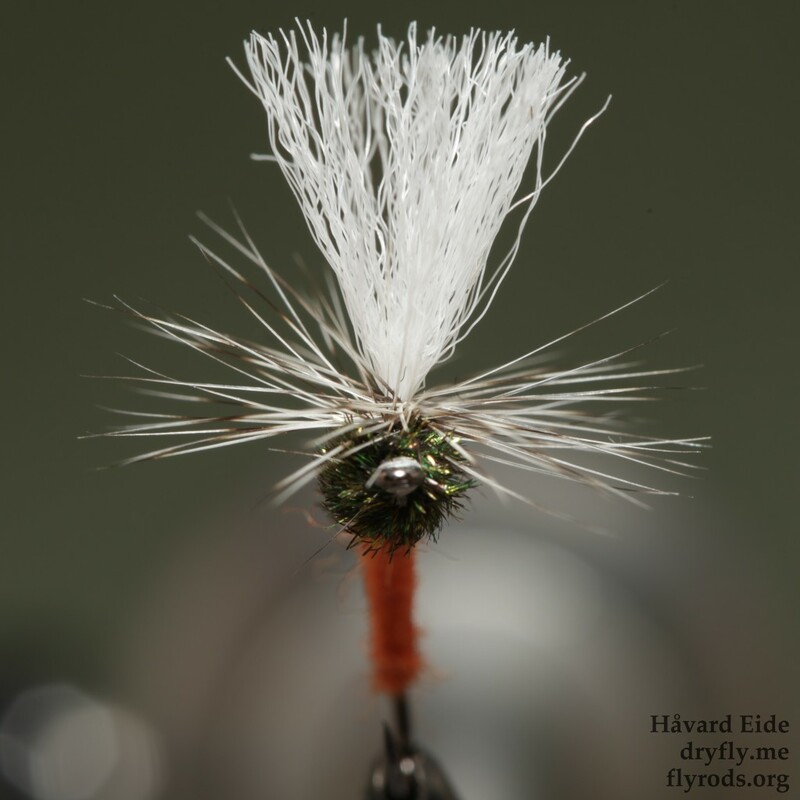 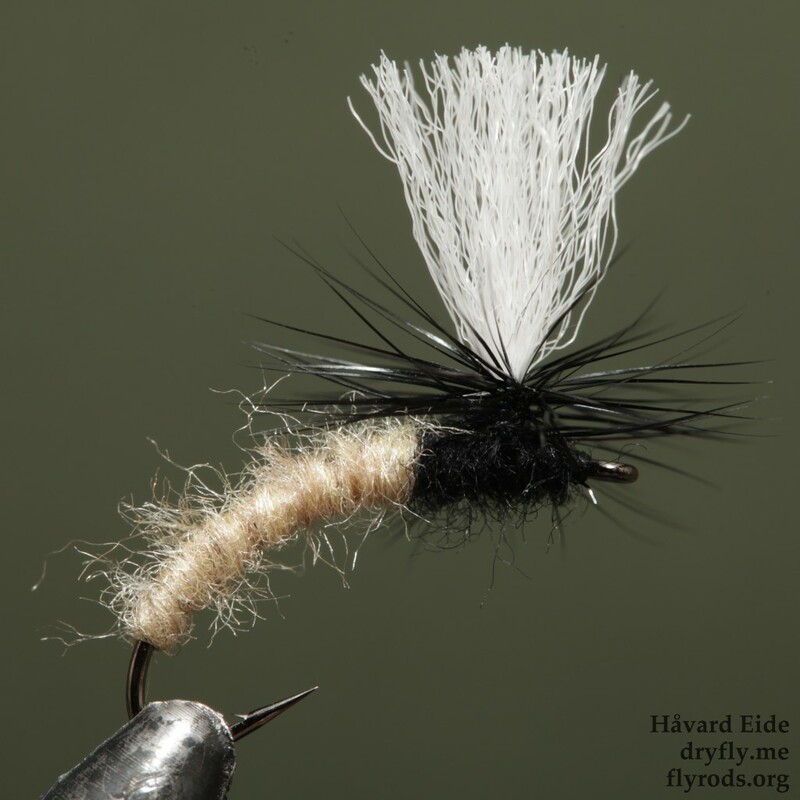 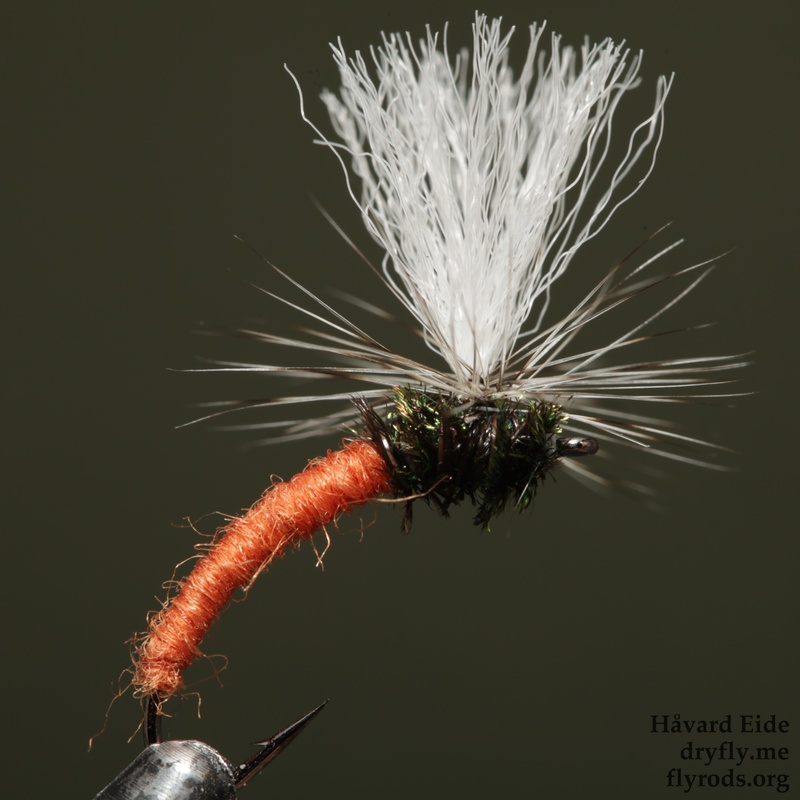 The sparse wing will make it float just below the surface, great for trout! 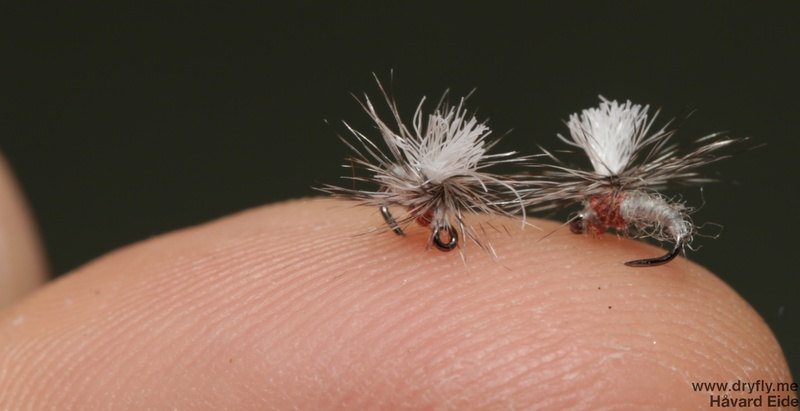 As small as they get: going for the same pattern as the Aurivilli but had to change to the brown hackle since my white/black one didn’t have small enough featheres. 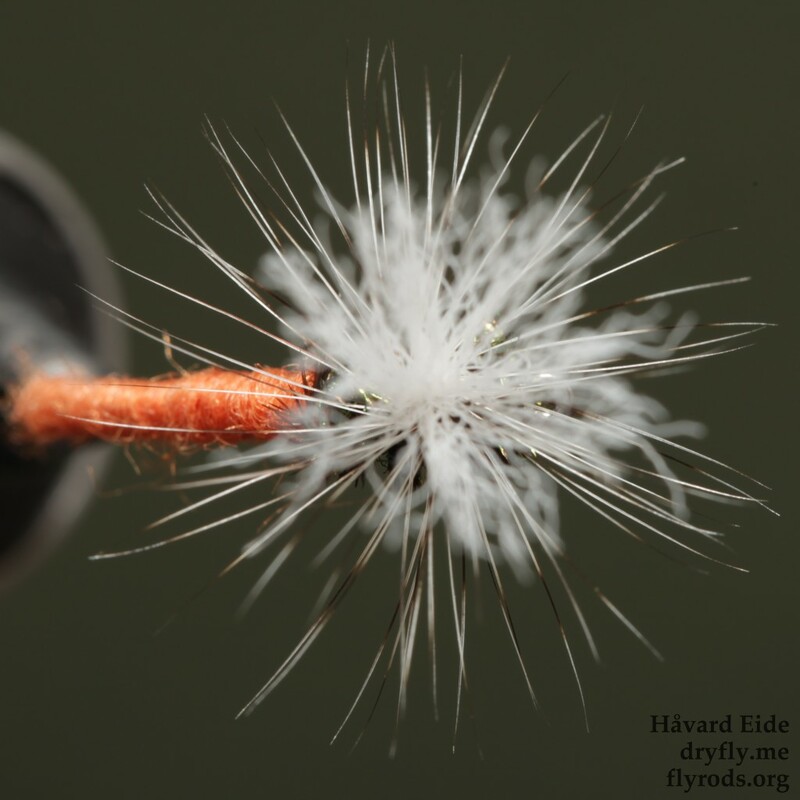 It is possible to do parachute down in this size, it is just a matter of getting small enough material to be able to tie it on. 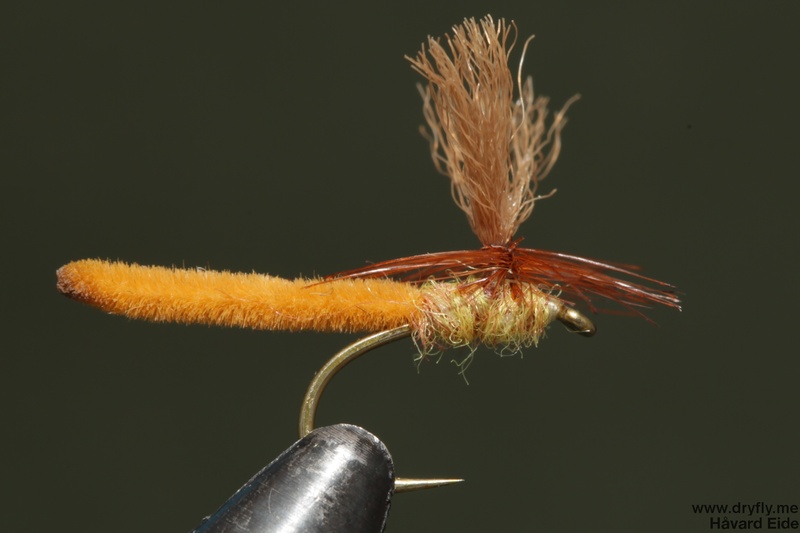 And: to have the eye-sight to get the hackle on there, I really should get a magnifier when tying #30 and below, it gets hard on the eyes!